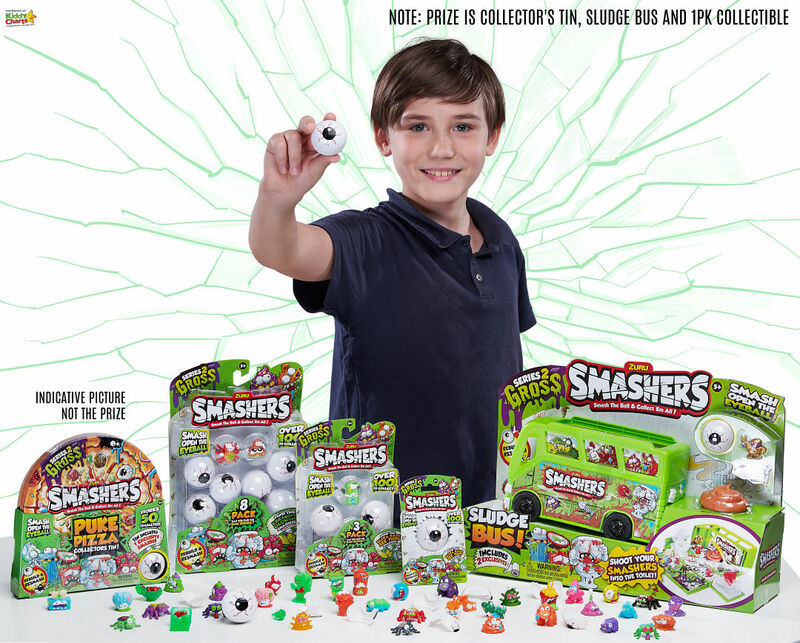 Win a SMASHERS Series 2 GROSS bundle! It is coming up to Halloween; so we’ve got something a little GROSS to give away in celebration thanks to ZURU Toys. We’ve a fabulous Smashers Series 2 GROSS bundle of goodies to give to one lucky winner! There is a disgusting wee critter inside every single eyeball in this new collectible series from ZURU. The Smashball Eyeballs all have a yukky creature inside covered in slime, perfect for Halloween time, or anytime fun! As always, there are rare, ultra-rare see-thru characters and playset exclusive characters to collect. too. As always, there are additional toys to help carry and collect your SMASHERS. There is a collectors tin that holds 50 SMASHERS, and a SMASHERS Sludge Bus so you can take your creepy critters wherever you would like to go. So plenty to get those collections started! To enter the competition, all you need to do is make sure you fill out the Gleam widget we have below. Sign up to our newsletter for more entries, AND so you keep up to date with everything that happens on the site. We would love to have you come back and see the other great printables and articles that we have for you regularly. We love our readers, and hope you love us too. Win SMASHERS Series 2 GROSS bundle! Thanks so much for popping by. The competition closes on Wednesday the 7th November at 11.59pm. Usual T&Cs apply of course. We hope you love this giveaway, and that we see you again soon on the site. Oh, and before we go – thanks so much to Brand Ballot as well for their mention in their top 200 parenting blogs as well!